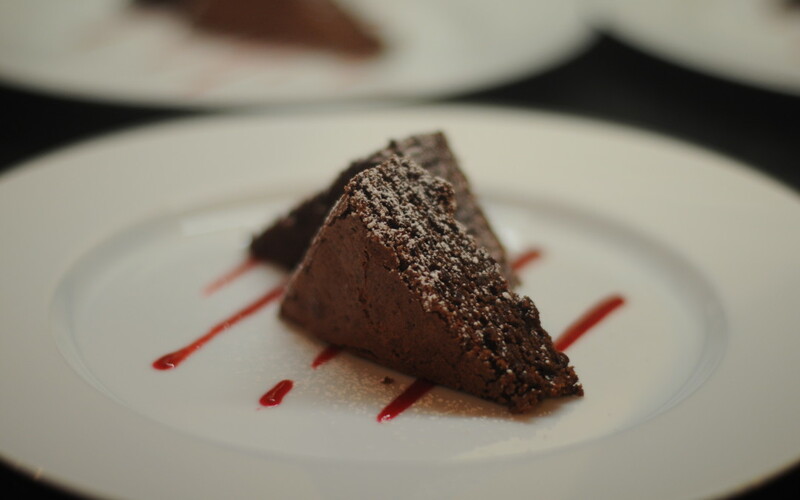 Our dark chocolate and beetroot brownie has been a favourite amongst guests this winter and we thought this would be a good day to share the recipe! If you’re planning a romantic meal in this evening this is sure to impress! This recipe will make a batch of between 15 – 20 brownies so scale it down if you’re only cooking for 2! 1. Heat the oven to 170C and line a 20 x 30cm baking tin. 2. Blend the beetroot, chocolate, butter and vanilla in a food processor until the mix is smooth. 3. Beat the sugar and eggs in a large bowl, then fold the beetroot mix into it. Sift in the flour and cocoa and then gently fold to make a smooth batter. 4. Bake for 25 mins or until risen all over. Serve with fresh raspberry coulis and a dusting of icing sugar. Happy baking and happy valentines day! Click here to find out what else is on our chalet menu.